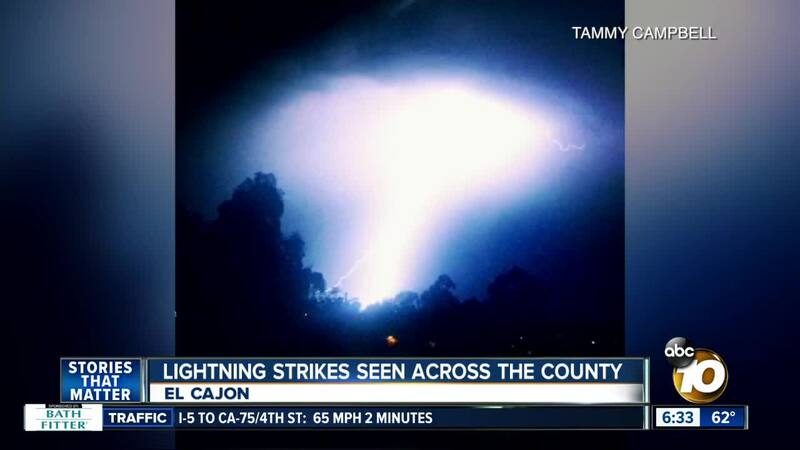 A lightning and thunder show woke up many across San Diego overnight. SAN DIEGO — Lightning flashed across the San Diego sky overnight, with thunder also waking up residents around the region. Approximately 2,200 lightning strikes in a span of five hours hit the Southern California area, stretching from Santa Barbara County to LA County, according to Curt Kaplan, a meteorologist with the National Weather Service in Oxnard. A strong batch of thunderstorms created "lightning storms," the NWS Los Angeles said. Members of the 10News Weather Watchers Facebook group captured video of what woke them up late Tuesday night and into early Wednesday morning — thunder clapping, lightning strikes and some instances of power flickering on and off.